Weird, but very interesting. Put away your insectophobia for a bit, because we’re talking bugs today. Insects are almost as underrated as plants these days. People think of them as boring (caterpillars and bees, what more?) or scary (centipedes, spiders, eww!) but there’s a lot of variety in what kind of species you’ll find, each with their own unique gimmick for survival. There’s some really cool ones in there, let me tell you! There’s the stalk-eyed fly, for example. Its eyes and antenna grow on stalks sprouting out of its head. When it comes out of its pupa it tries to force as much air as possibly through its head, into the stalks, causing them to inflate and stretch. Larger stalks are more attractive to other flies, kind of like deer comparing antlers. Flower Mantises are a species of mantis that look like flowers to attract prey. Pretty sight, but once a large bug comes near it, it viciously strikes and devours it. Spiny Leaf insects take a similar approach. Also known as the Australian Walking Stick, you can probably already guess what it looks like. I find it incredible they evolved to be so well-camouflaged, and even when out of their natural habitat, they still look amazing. Not that they care for fashion, but still. 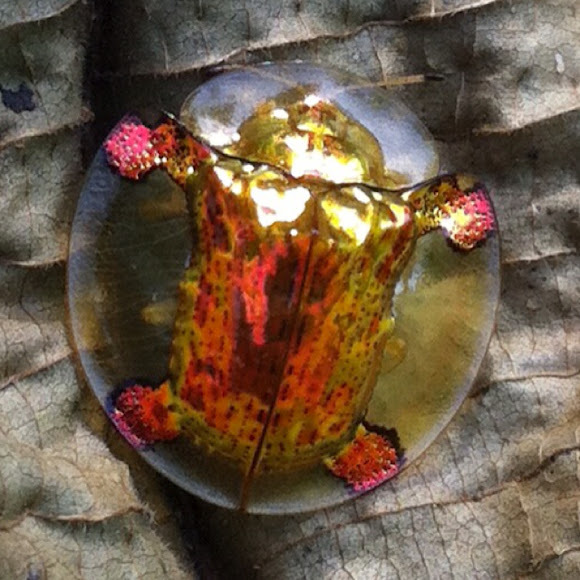 And have you seen the Golden Tortoise Beetle? Those tiny little things are just the cutest. Most commonly seen with a reflective golden shield, but they can apparently alter its color by changing the flow of liquid between the layers of its shield. Pretty impressive, right? There’s so many more, but I honestly can’t be bothered listing every single species of insect here. Look some up, you may be surprised by what you find! I’ve never been a bug lady. I’ll agree that there are some fabulous insects out their but I’d prefer to admire them via a picture on the screen and not in real life. I’ve always loved bugs. I used to collect them when I was a kid. My mother said I couldn’t get a dog or cat, so I had a praying mantis as a pet. Weird? Maybe, but I still thought it was a pretty badass pet. I’m only interested in the ones that I can eat. I guess I’m kind of shallow. There are some pretty impressive bugs out there. With all the many different kinds of them there’s bound to be some very cool ones. Even with the ones people don’t like there are some pretty awesome species, like the spider that doesn’t make webs.